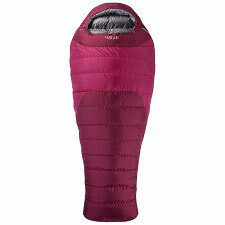 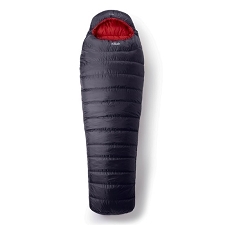 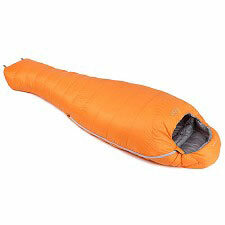 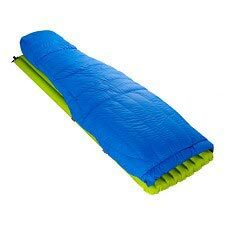 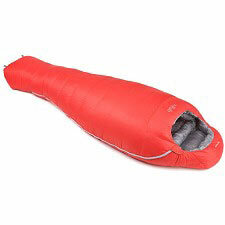 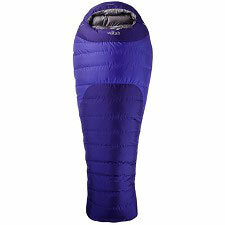 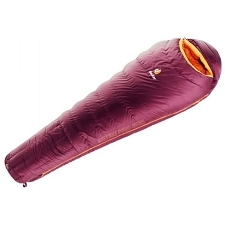 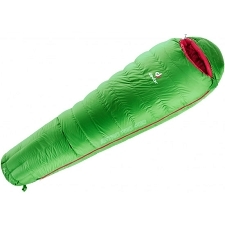 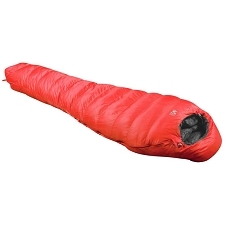 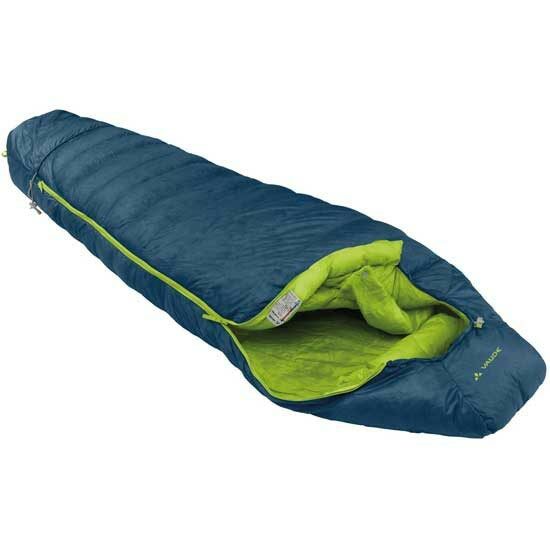 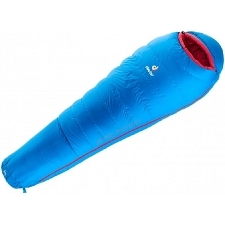 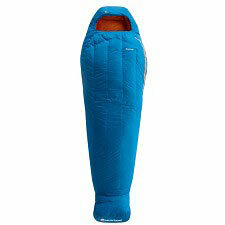 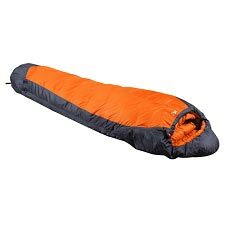 Fall asleep in a bed of feathers; modern, technical 3-season mummy sleeping bag for extreme activities such as high elevation tours and expeditions in very cold regions. Filled with premium 90/10 duck down. 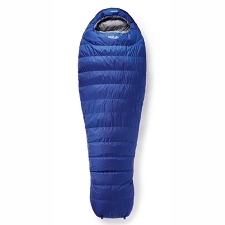 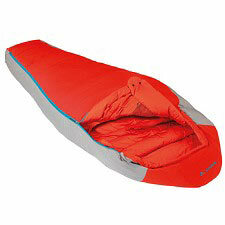 The Ice Peak 400 is lightweight, water repellent and consistently warm thanks to an H-chamber construction. The 3-dimensional extreme thermal collar ensures best comfort. 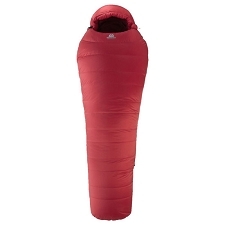 The hood opening can be tightened down to the size of a small air hole. 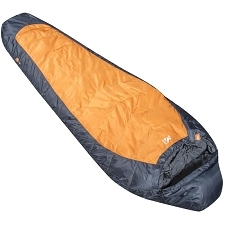 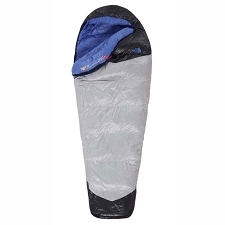 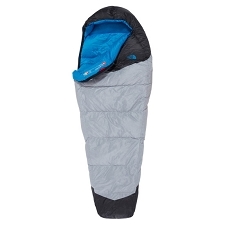 Head and foot sections are made from waterproof materials to protect the sleeping bag from wet tent walls; in addition, the foot box can be used as a practical packsack. 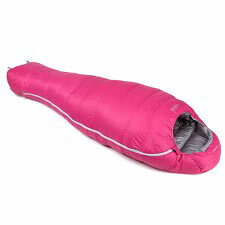 A drawcord in the foot of the bag can be tightened to shorten the bag for smaller people or to create a dry, warm area for clothing and shoes. 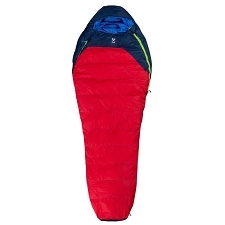 Customer Opinions "Ice Peak 400"